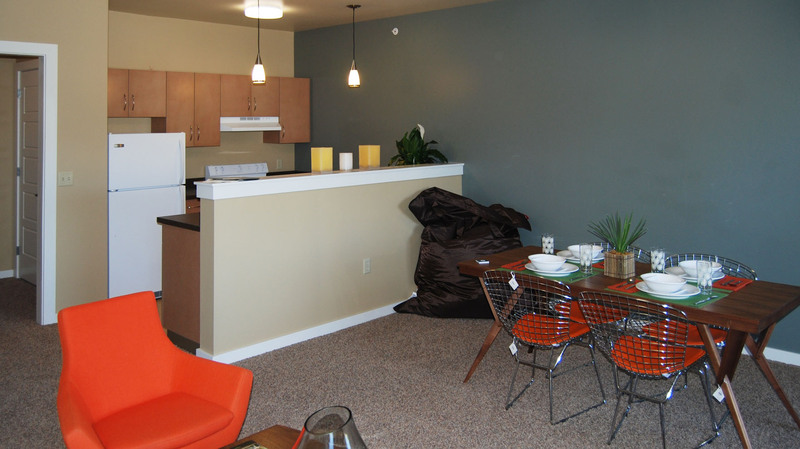 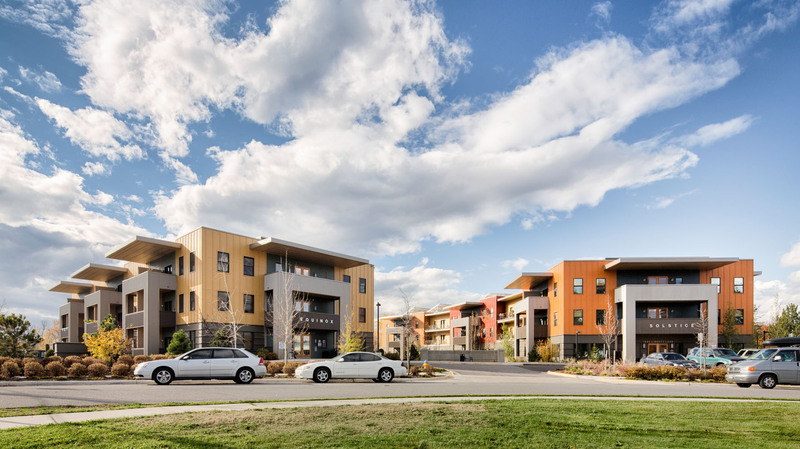 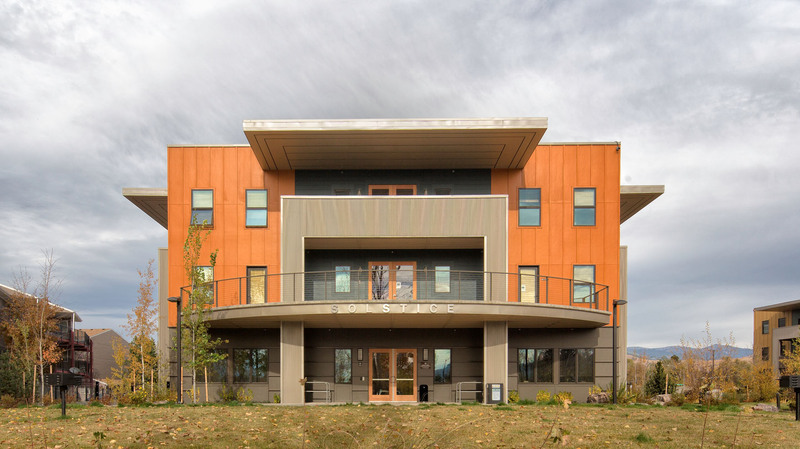 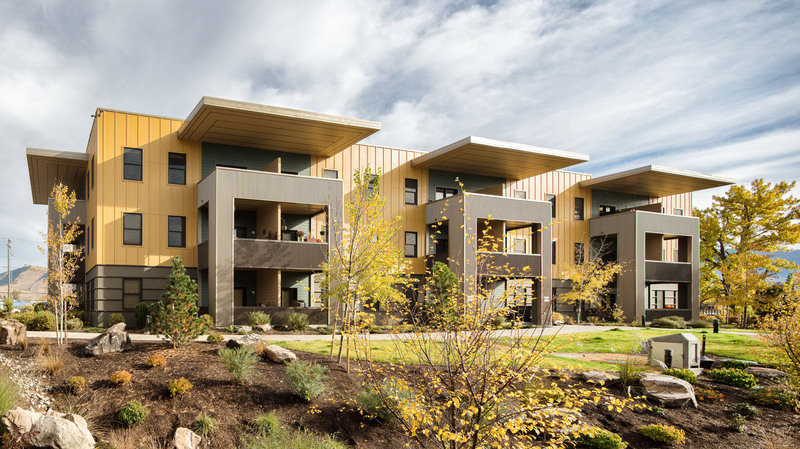 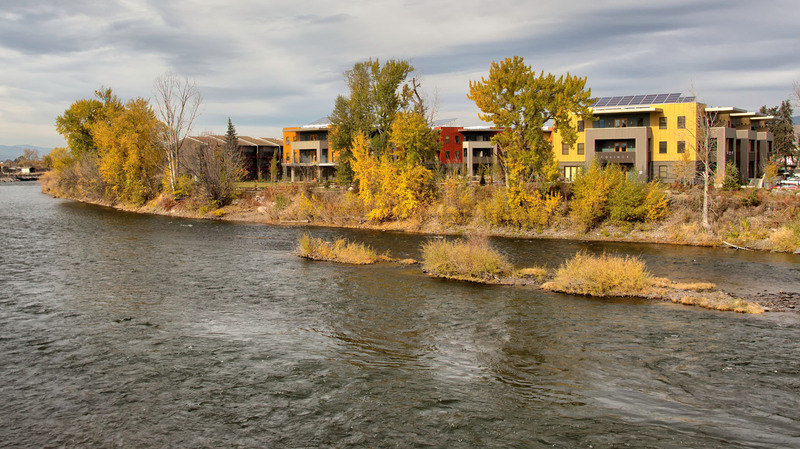 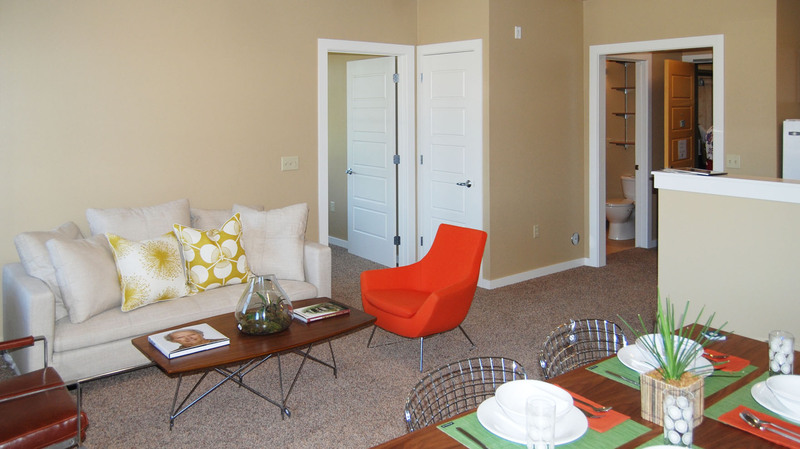 Located on the banks of the Clark Fork River in Missoula, the Equinox regenerates the natural river bank while also providing 35 units of affordable housing. 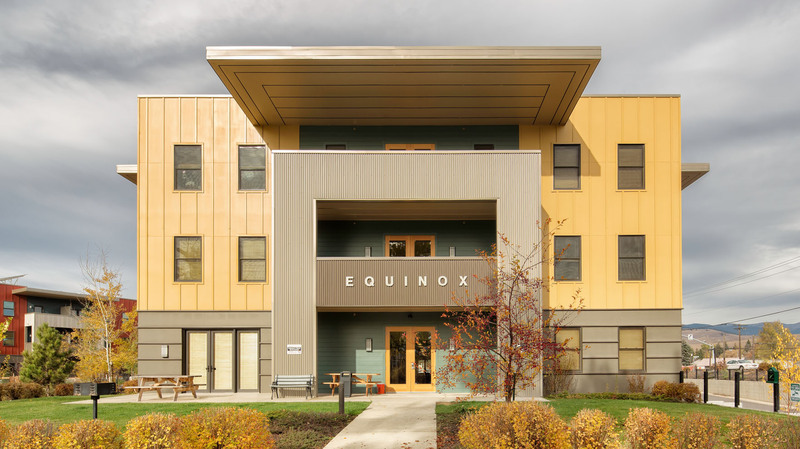 The Equinox, in conjunction with the Phase II project called the Solstice (34 units), transformed this busy intersection of two main thoroughfares in Missoula. 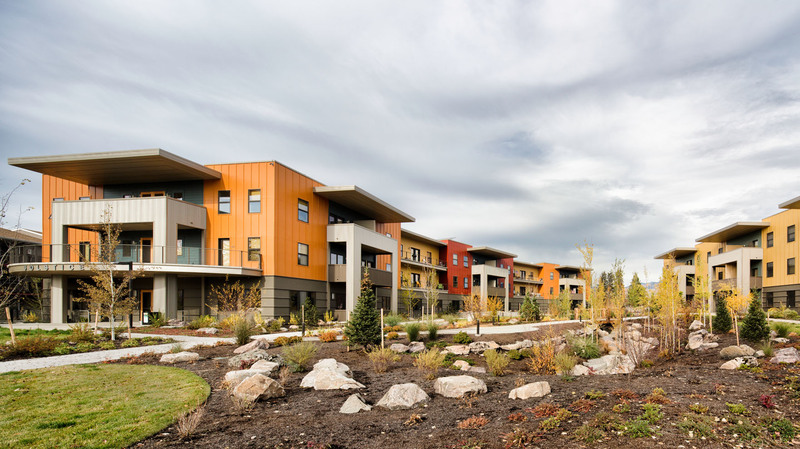 Between the two buildings, a rain garden filters surface paving run-off and creates a shared courtyard. 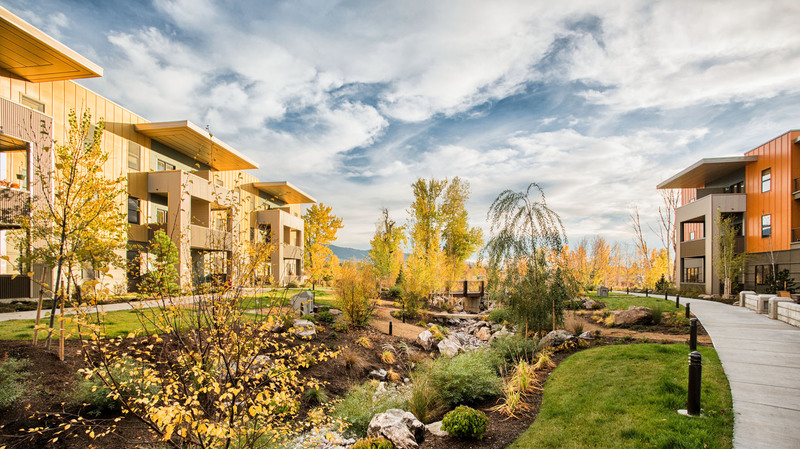 Epic views up and down the river corridor are enjoyed by both buildings, as well as from the picnic area along the river. 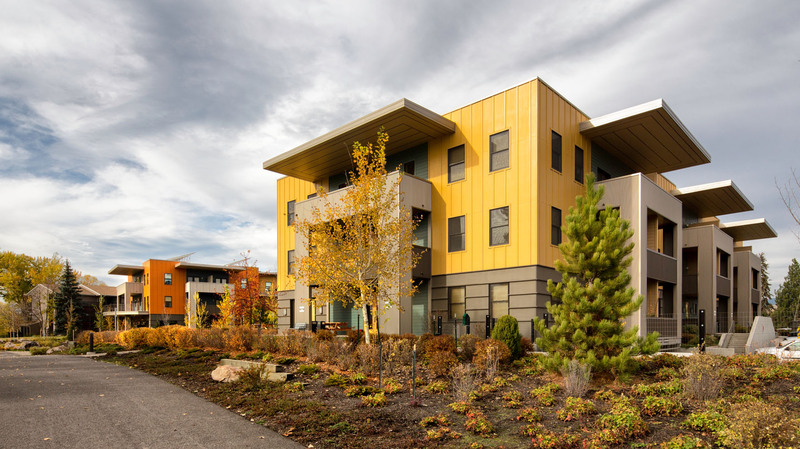 A community bike trail has also been extended through the site, offering better connection for the great community. 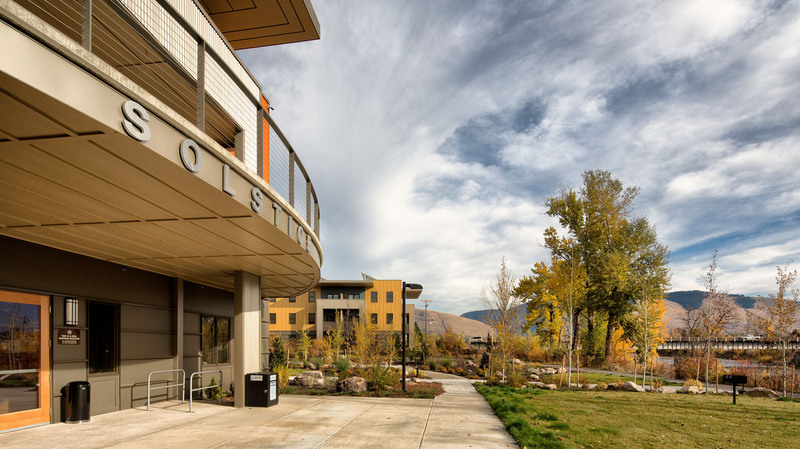 Solstice received a LEED Gold rating in 2012.